Amani Kinderdorf is a German organization based in Africa that aims to create self-sustaining communities, and to provide homes for children who have been orphaned due to AIDS. The FSF advocates for free software ideals as outlined in the Free Software Definition, works for adoption of free software and free media formats, and organizes activist campaigns against threats to user freedom like Windows 7, Apple's iPhone and OS X, DRM on ebooks and movies, and software patents. Non-profit turning small plug computers into personal servers that guard your privacy, anonymity and security. It was was started by Eben Moglen and staff from the Software Freedom Law Center as an organizational home for the various community development efforts that are already out there building freedom box systems. Our nonprofit exchange network is focused on assisting teachers, technicians, schools, churches, and nonprofit groups interested in recycling and reusing computers, laptops, office, and school equipment. 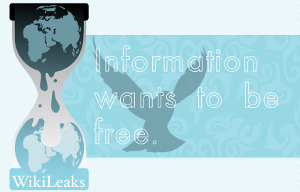 WikiLeaks brings truth to the world by publishing fact-based stories without fear or favour. You can help support our independent media by donating financially. Our organisation exists because of the work of many volunteers who have contributed thousands of hours to building WikiLeaks from the ground up. You choose how much you can donate; we don't recommend any particular amount. Just do what you think is right.